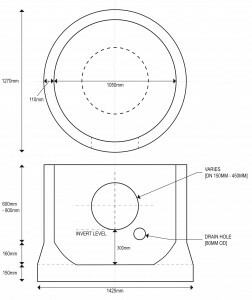 Catchpits are a precast concrete drainage product that are recommended for use as a filter and collector in land drainage systems that do not make use of any sort of geo-membrane. 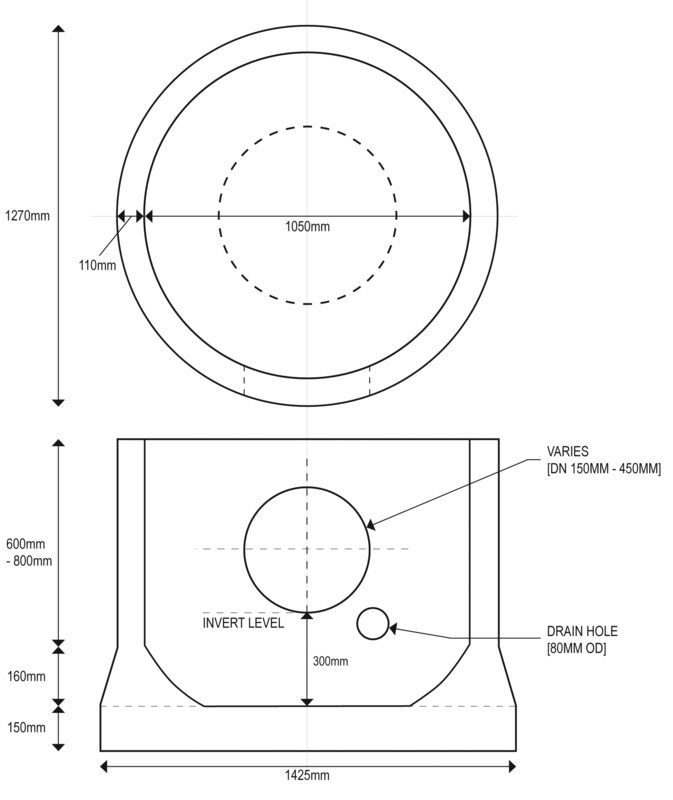 A Catchpit is essentially an empty chamber with an inlet pipe and an outlet pipe set at a level above the floor of the pit. Any sediment carried by the system settles out whilst in the Catch-Pit, from where it can be periodically pumped out or removed. Instead of building a Catchpit consider buying a Tracey Concrete Catchpit saving yourself time and money. 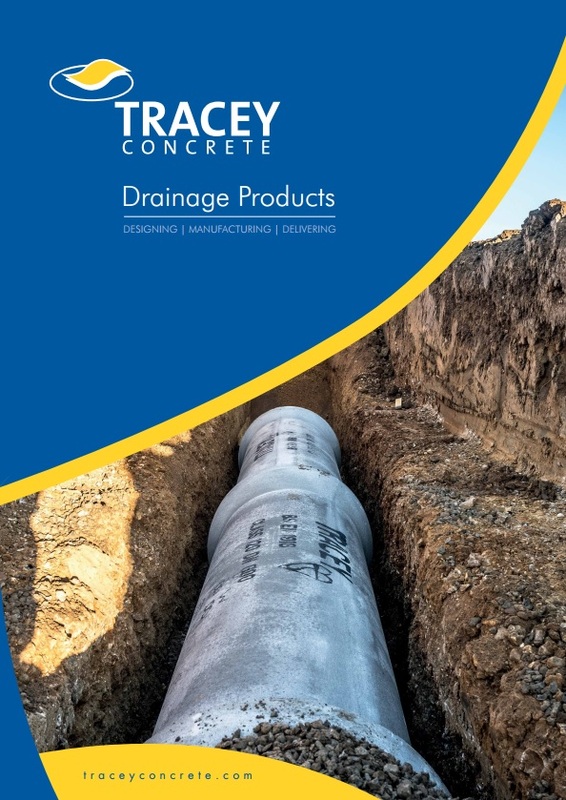 Tracey Concrete manufacture 1050DN & 1200DNCatchpit in accordance with BSEN 1917 & BS5911. 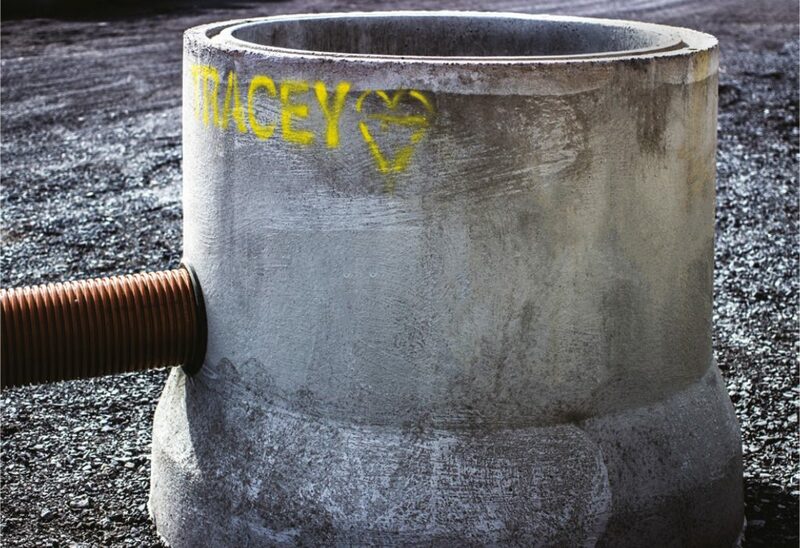 Tracey Concrete Catchpits can be fitted with manhole rungs and have an invert level of 300mm for inlet and outlet pipes. Non standard invert levels are available on request. 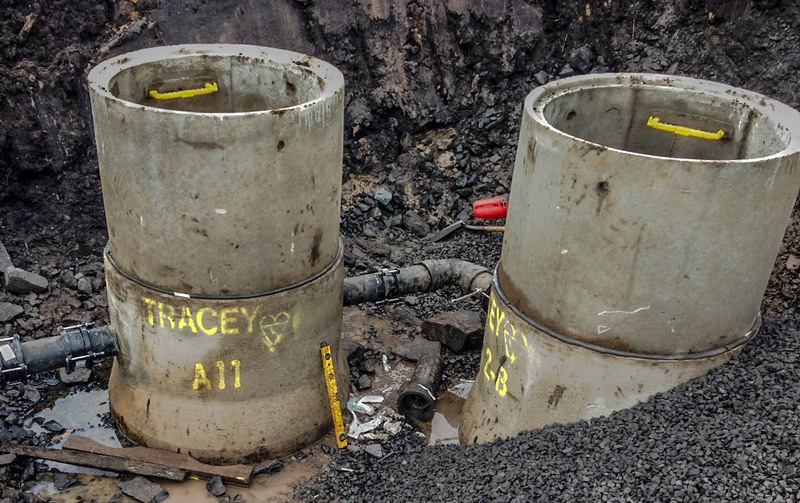 Tracey Concrete manhole rings may be placed directly on top of the catchpits & constructed as normal. 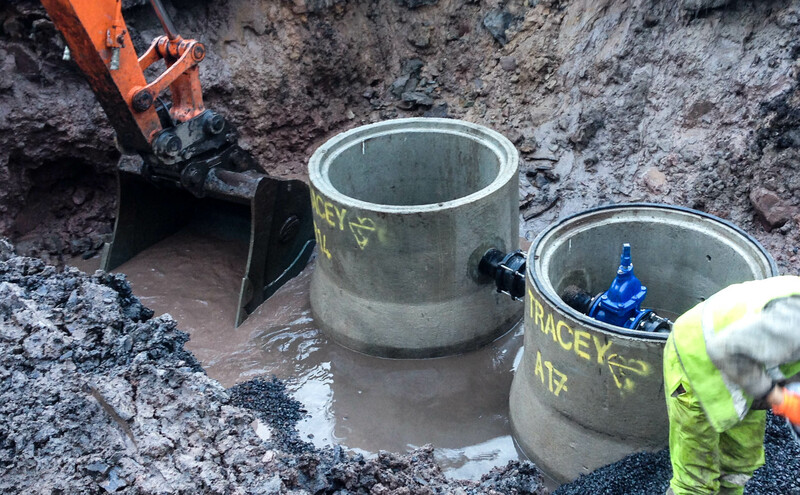 Tracey Concrete can produce Catchpits in a variety of configurations to suit individual customer requirements. 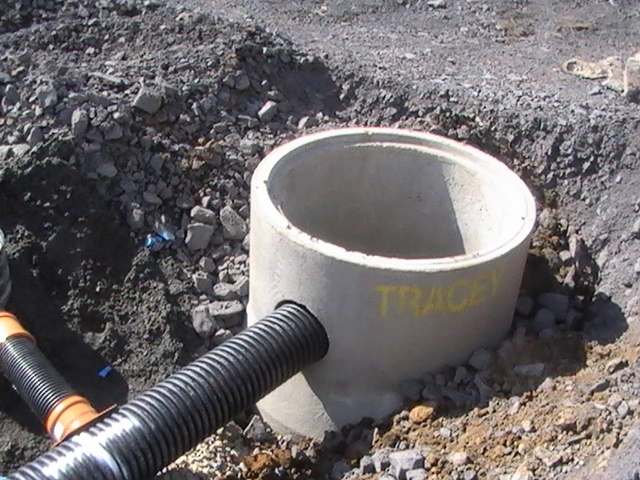 Tracey Concrete Catchpits can be manufactured to accomodate DN375 in a straight through orientation. 3 and 4 way units with a variety of orientations can be produced up to DN300 only.